Back when I was in school, nothing depressed me more than Sunday evening. The Canadian world outside my bedroom window was dark, cold, and still. The only light seemed to come from my desk lamp which cast a judgmental glow on the leaning tower of binders that had yet to be cracked. I was either exhausted from a sleepover or mourning the lack of messages from my latest crush. I also suffered from S.H.S. or Sudden Hate Syndrome–the fear of being despised on Monday for no reason. And then there was that homework. As much as I begged, it simply refused to do itself. On Monday everything was fine. But that Sunday night sadness always returned, bringing with it a giant hose that connected to my oddly deep belly button and sucked the happy right out of me. Today things are different. Sunday is now Funday. How, you ask? Pretending, of course. 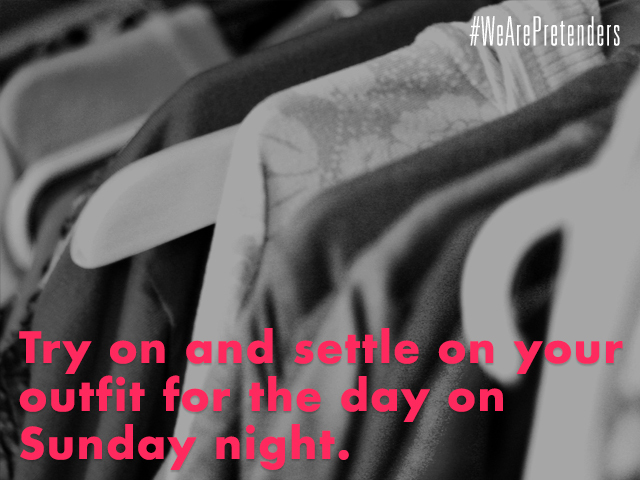 The Pretenders Guide To Loving The Day You Hate. 1. 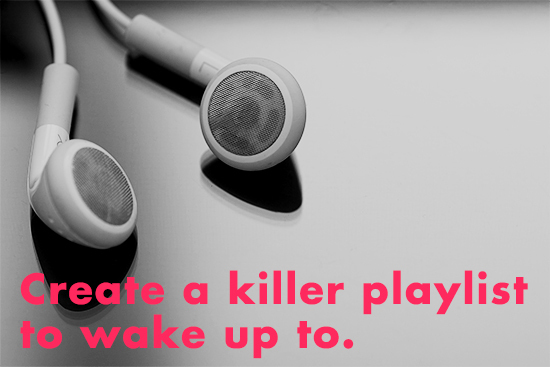 Create a killer playlist with all of your favorite happy songs. Only play it on Day You Hate. This is Sheridan Spencer’s playlist from Pretenders. 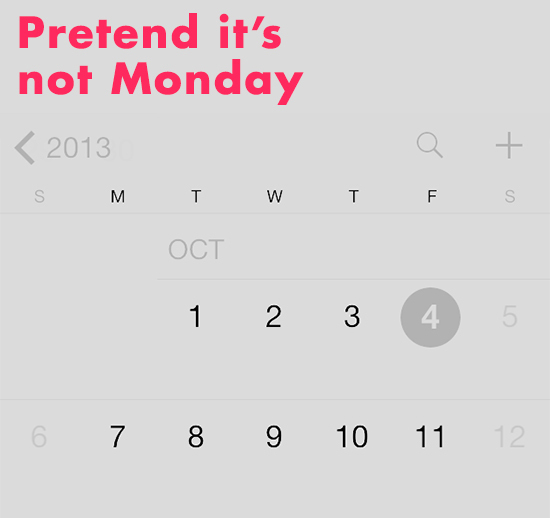 *This graphic designer clearly hates Mondays. Keep reading Designer. I can help. 3. 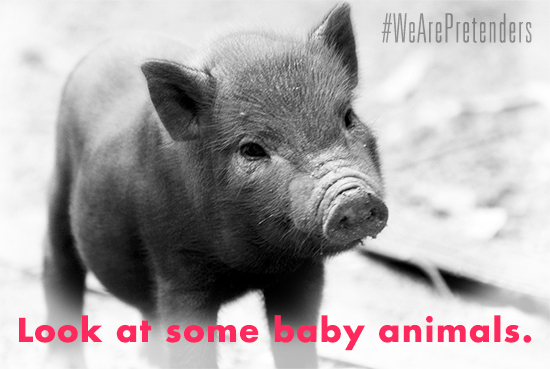 Be glad you’re not a baby animal. They’re cute, sure, but what guy is going to take one to prom? 4. Plan one thing you can look forward to on Day You Hate. 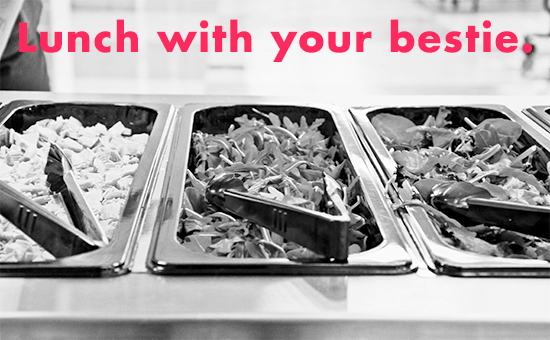 A bar usually helps me…Salad bar, of course. For more tips on pretending, pick up a copy of Pretenders, available wherever incredibly awesome books are sold. I love your advice 🙂 Although I’m not in high school anymore. I just finished YESTERDAY. A part of me thinks that I’m going to miss the ‘Day You Hate’. Weird how things look nicer when you’re leaving them behind for good. Lisi i love your monster high book series! will you be making #5 and more? please say yes! Awesome Post! I LOVE LANA DEL RAY!!!! she is amazing!!! Nice post. I always wait until the last minute to do homework- I think it has something to do with my obsession of How I Met Your Mother…. Sunday night sadness… definitely an affliction that plagues us all. i love your books how do i get to be a writer?? ?